Did you know that white wedding dresses weren’t a “thing” until Queen Victoria decided to wear one during her wedding in 1840? We know that they symbolize purity, but Queen Victoria’s motivation was a little different. Turns out that the royal families of the time thought wearing a white gown would show off the amount of money they could afford to spend without worry! Because white was so easily stained, most people avoided it, but the royals wanted everyone to know they weren’t concerned about the dress being ruined. They could afford to replace it! Not very many of us can afford to blow an absurd amount of money these days, but the white wedding tradition has certainly stood the test of time. In fact, there are countless wedding traditions we honor today without really wondering why they started in the first place, like the wedding veil, which was meant to cover the brides face in the church, or the cake topper and unity candle. Now it’s 2015, and the wedding traditions are being traded in! I want to encourage you to think about the traditions you think are normal or necessary, and decide whether or not they speak to you and your fiancé’s individuality. If they don’t, it’s time to have some fun—feel free to wear and do whatever you want! Here are a few of my favorite ways you can spice up your wedding and your wedding photos, to create a memorable and unique day for you and your guests. You’ve probably spotted this trend on Pinterest already, but I think it’s fabulous! Giving monogrammed silk robes to your bridal party hs everyone feel included and pampered for your big day. It also gives each bridesmaid and mother something to remember your wedding by for years to come. Plus the coordinated colors make for some gorgeous photographs! I was always one of those girls who had more guy friends than girl friends. 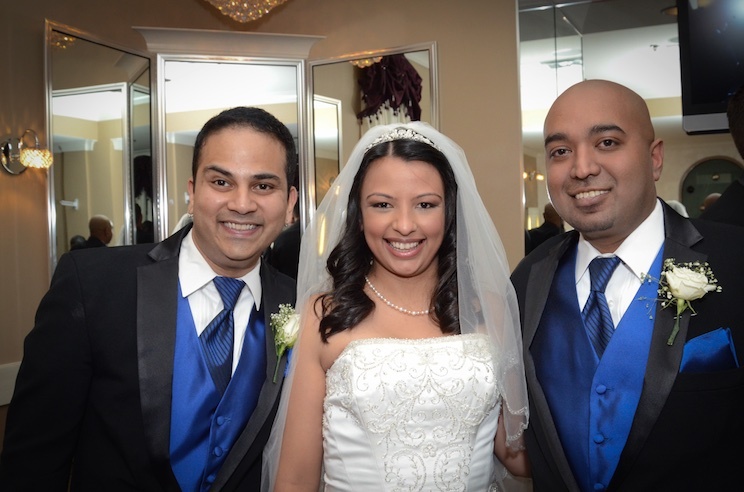 So when I got hitched, I decided to do things a little differently—by having my two best friends Hasnain and Saifur as Bridesmen on my side of the alter, along with my bridesmaids. And I'm not the only one! 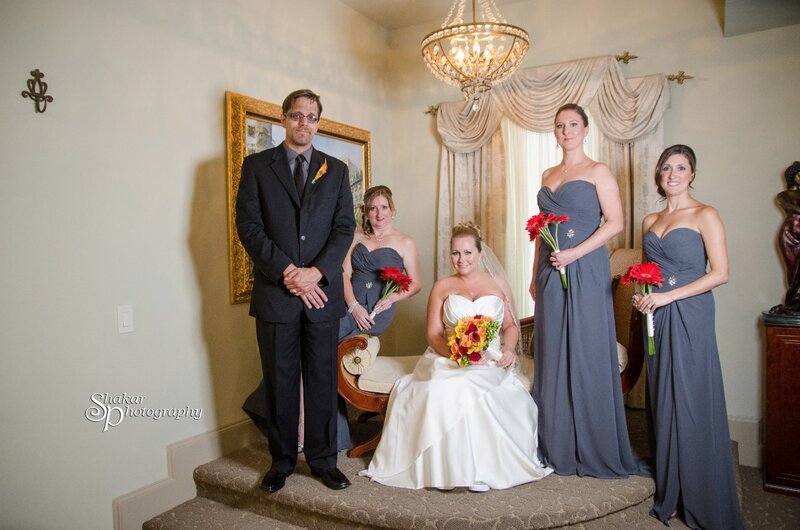 One of my clients, Kathleen, also chose her best friend as her Man of Honor for her wedding last year! Forget what those prudent, wedding sticklers say! As long as everyone gets along, having your best friends stand with you is extremely important, regardless of gender. It’s your big day, so let go of tradition and mix it up a bit. Coed wedding parties are finally A-Okay. Weddings of the past had very traditional menus with only a few options or a simple buffet of garden-variety hours devours, but many modern brides are kicking this tired tradition to the curb and opting for more cultured fair. As a Texas girl, I stand behind the new “food station” trend, which can feature anything from barbecue to Indian cuisine. Stations work well for desserts, too. Ice cream sundae stations or stations for decorating and enhancing cupcakes are also a fun option. This simple catering change can really show off your likes as a couple, while creating a fun, personal experience for each guest. Your wedding day is the perfect way to show off your story as a couple, so feel free to be creative with how you embellish the occasion. In my last blog I mentioned Cristina and Bernado, who met at the Texas State Fair. While they opted for a classic wedding (which was gorgeous), I’ll still use them as an example for some wedding décor ideas. A carnival themed wedding would have been an excellent way for them to tell the story of their engagement, and the kids in attendance probably wouldn’t have minded either. For the centerpieces they could have used mini Ferris wheels and popcorn boxes full of sunflowers and white daisies. Decorating the chairs with streamers and having a cotton candy machine could’ve been the icing on their fair-themed cake too! Just think about the things that stand out in your relationship, and see if you can play off them. If you come up with an idea you can DIY, you can save tons of money on professionally made table arrangements and décor. 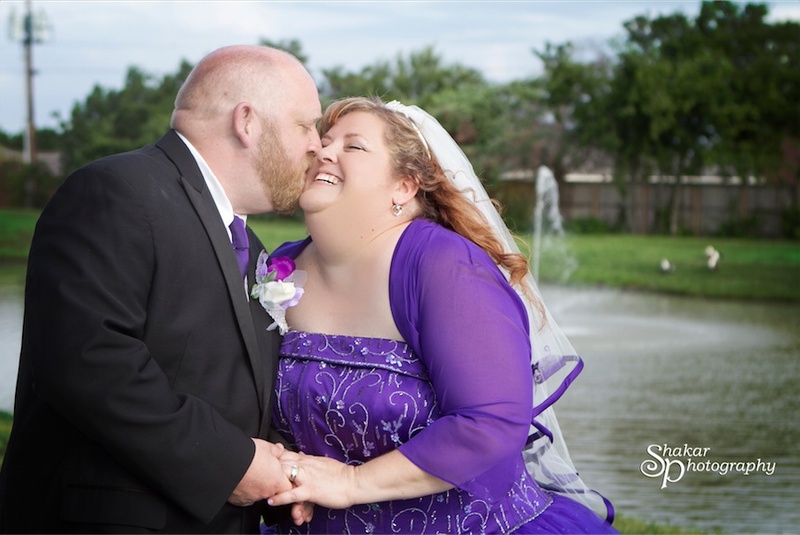 One of my lovely couples opted for a Disney themed wedding because of they both loved Disney fairy tales. They saw their wedding as the start of their own fairy tale, so they chose to personalize their big day with decorations from the Disney movies they love to watch on date night. They even had the DJ play Disney music at the reception! 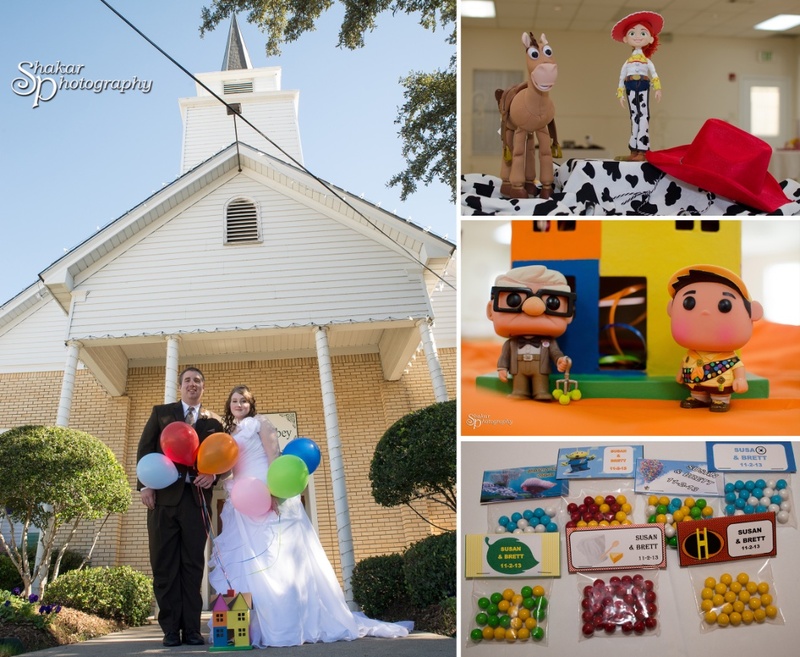 They had tributes to UP, Toy Story, and several other movies, which included balloons, desserts, and party favors. It was not only 100% unique, but completely unforgettable for everyone in attendance. Get funky with your flowers. Flowers are an essential part of every wedding, but it doesn’t have to be all peonies and roses. 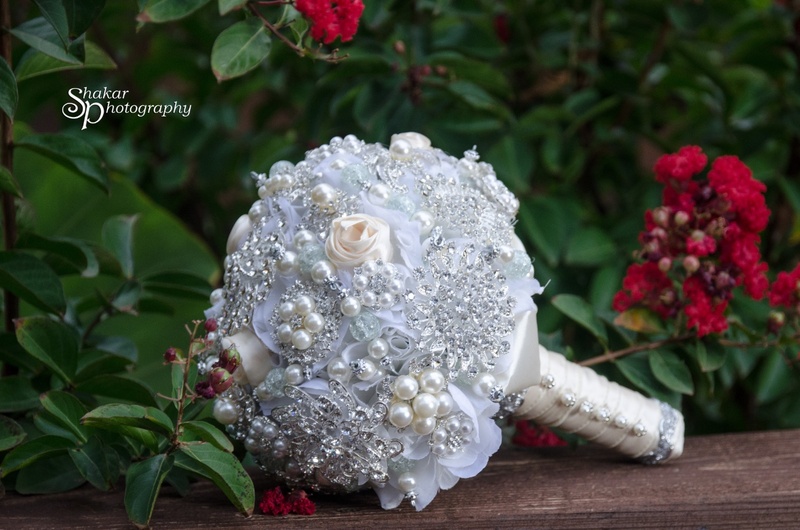 There are so many ways to spruce up your wedding bouquets and arrangements, including bouquets made of brooches; decorated with palm leaves, cotton, or pine cones; doused in glitter or metallic spray paint; embellished with feathers; or created entirely from paper flowers for an everlasting arrangement. Cakes have also been shrugging off their old, vanilla ways. Cakes today come in a million shapes and sizes, and some aren’t even cakes at all! I love bright colored cakes and cakes with unusual shapes and textures. Fondant can be used to create something that looks more like art than dessert, and many couples are losing the bride and groom topper. Some people use flowers or glittery letters, but those are only a couple of options. 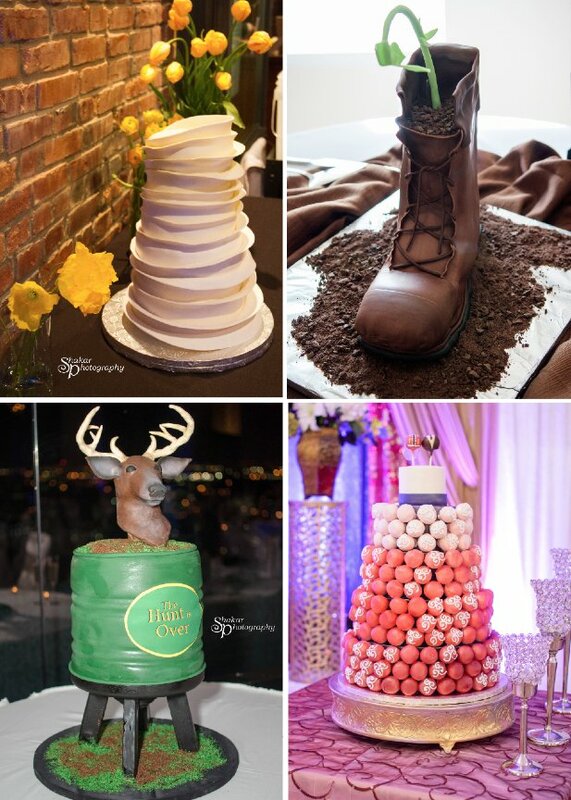 I’ve also seen several people ditching cakes in favor of dessert towers full of cupcakes, cheesecakes, cake pops, and even doughnuts! These customized touches always create a certain whimsy and just exude the couples’ eclectic personalities. Party favors are a great place to put your DIY skills to work and have a little extra fun. Some of my favorite favors are handmade soaps, macaroons, seasoning packets and hot sauces, chocolates, infused oils, mini champagne and wine bottles, sunglasses, flip flops, and candles. With so many free printables and promotional products sites at your disposal, you can customize just about everything from your wine and food labels to your flip-flops and sunglasses. These are just a few ways you can elevate your wedding from average to unforgettable! Digging around Pinterest will, of course, provide hundreds of more ideas and inspire your wedding-planning process. You can also check out my galleries for even more inspiration from the lovely couples I’ve photographed. Just remember, this day is all about you! So, do it your way.